Save $1.00 when you purchase ANY TWO (2) Cheez-It® products. Any variety. Items must appear on the same receipt..Expires 6/27/2018.One time use only.Save $1.00. Save $0.25 when you purchase ANY ONE (1) Jet-Puffed Marshmallows. Valid on the 12 oz. only, any variety. .Expires 9/5/2018.One time use only.Save $0.25. Save $0.50 when you purchase ANY ONE (1) Vlasic® Pickles. Any variety..Expires 6/27/2018.One time use only.Save $0.50. Save 75¢ on any one (1) GOYA® Authentic Mexican Salsa..Expires 9/3/2018.One time use only.Save $0.75. Save 50¢ on any one (1) GOYA® Plantain Chips, 5 oz. or larger..Expires 9/3/2018.One time use only.Save $0.50. Save 50¢ on any one (1) GOYA® Pure Coconut Water, 16.9 oz. resealable carton only..Expires 9/3/2018.One time use only.Save $0.50. 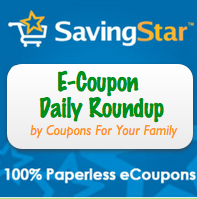 Save $1.00 when you purchase ANY ONE (1) Folgers® K-Cup® product. Any variety. Any size..Expires 6/13/2018.One time use only.Save $1.00.